Old Navy is under fire for charging customers higher prices on plus-size clothing for women, but not for men. An online petition protesting the “discriminatory” pricing policy has gathered more than 19,000 signatures, Buzzfeed’s Sapna Maheshwari reports. 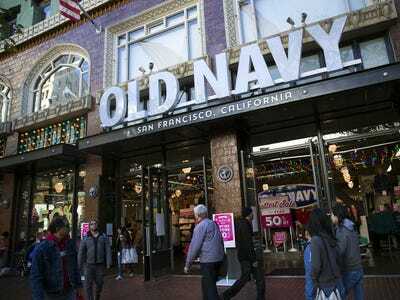 The petition’s author noted that Old Navy’s Rockstar Super Skinny Jeans cost $US27 in a size 6. The same jeans cost $US13 more a size 26. The men’s Slim-Fit Jean costs $US25, however, regardless of size. Responding to the controversy, Gap Inc. spokeswoman Liz Nunan told Maheshwari that it costs more to make plus-size clothing for women, due to special features like contoured waistbands.